As part of the Windows 7 Beta program, I wanted to see how it would run on my netbook, an Advent 4211, a rebadged MSI Wind. I didn’t want to completley blow away XP though, because this is only a beta after all. 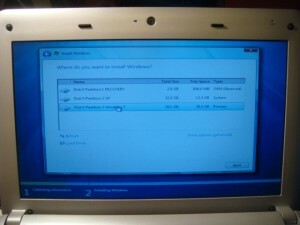 The main obstacle that you face with installing Windows 7 on a netbook is of course the absense of a DVD drive. This guide documents the steps that I had to take to make this happen. Copy the GParted folder structure to the USB Drive. Don’t change the format, e.g. 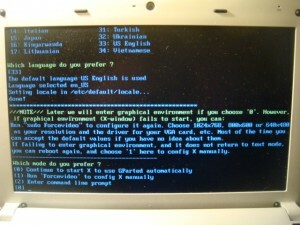 you will have a live, syslinux and utils directory at the top level of your USB Drive. Quick format a new partition in the now empty space. 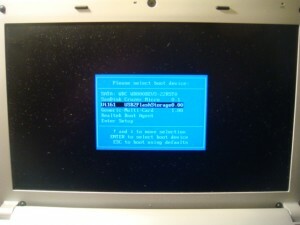 Plug the USB drive in to your netbook, and boot from it as before. and then just run through the installation process as normal. Windows will detect your old installation and create a dual boot setup. 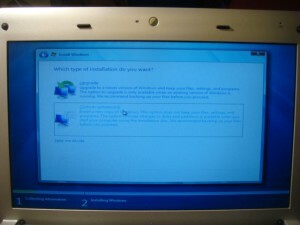 One problem that I did encounter was that I got an error “Windows could not update the computer’s boot configuration. Installation cannot proceed”. Not sure if that is due to the emergency recovery partition that was on my hard drive. Anyway, I fixed it by running Windows 7 from the USB drive again and selecting the Repair your computer option, which repaired the issue. 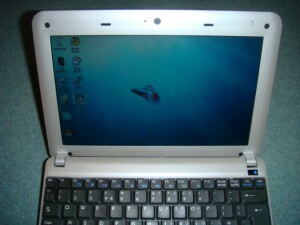 I have also heard of people who, on encountering the “Windows could not update the computer’s boot configuration. 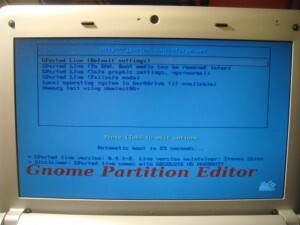 Installation cannot proceed” error did manage to recover, but then XP was not shown in the boot list. It is still there, but not in the boot list. 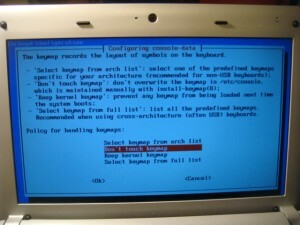 Booting in to Windows 7 and then using bootcfg added XP back again as a boot option. Running bootcfg /rebuild should add it back to the list. This entry was posted on Wednesday, February 4th, 2009 at 10:09 pm	and is filed under Windows 7. You can follow any responses to this entry through the RSS 2.0 feed. You can leave a response, or trackback from your own site. Oh my god, how many apps do you need to do this? ridiculous. LOL You have to use Linux to install Windows over Windows LOL. Many Many thanks for this article! 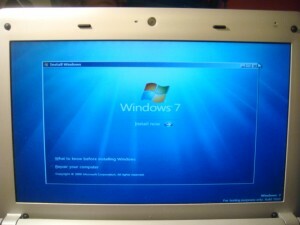 I just completed the installation of Win 7 Pro over Win XP on a Samsung F210 and it works! I did something different though which might help others…I bought an external DvD read/write and made a disk for GParted. I also needed this as I had original XP and Win 7 disks. One thing I had trouble with was getting the XP to install and I think I booted into safe mode somewhere along the line. I’m not saying this is easy but you just need to keep trying oh I rememmber what kept happening was when computer restarted it went past the bios screen in an instant and I couldnt ‘catch it’. Eventually did. his still seems to be an issue…I have to tap a key to get the boot partition screen to stop otherwise it flashes past and reboots. his might be something to do with the keyboard? or a BIOS setting? I dont know…I just hit a key while the bios is starting and it stops at the dual boot screen. Oh when I switch OS I have to go around the BIOS twice for some reason the dual boot screen wont stay put on the first pass. These are small irritations…I mainly use Win 7 but now can use all that software I bought that runs on XP only. By the way, I find the machine to be quite quick- I had a Dell Latitude 430 before and I dont see much difference in speed and of course the battery is brilliant-i charge up go out work for 6 hours and come home. ust hope the battery doesnt degrade too quickly (my Dell was down to 45 minutes on a charge). Anyhow, once again, thanks for this blog it really helped me and I hope some of my comments can help others.